Having been recorded on May 6th, 2018 in London as part of the “Britrock Must Be Destroyed” tour, Terrorvision, together with Reef and The Wildhearts, put Britrock back on the map again, in explosive style. The fans thronging this celebrated venue witnessed a remarkable performance packed full of the band’s biggest hits like “Alice What’s The Matter”, “Middleman” or “Oblivion”. 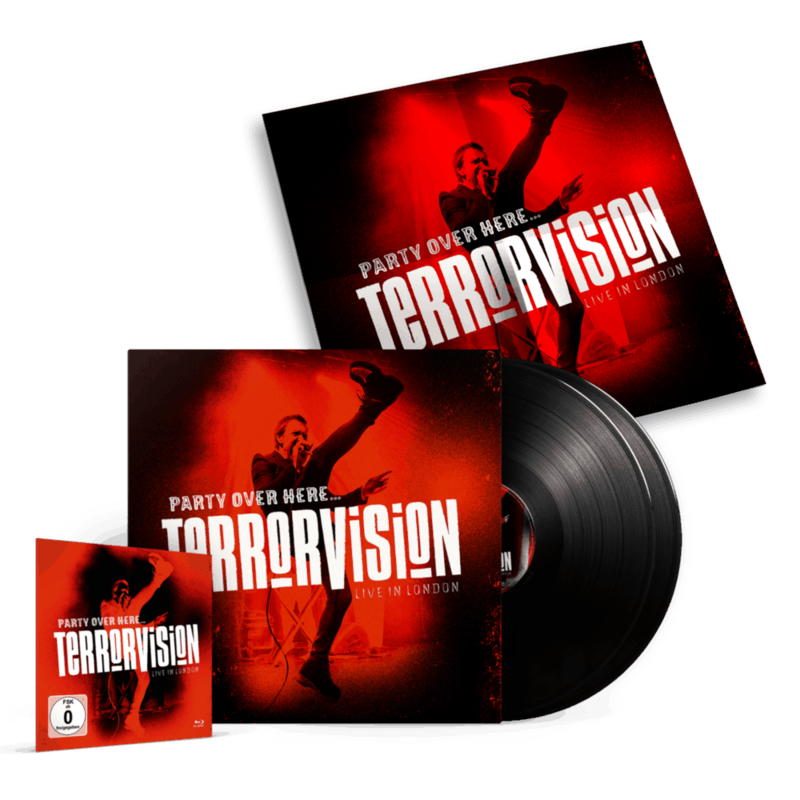 Capturing the pure energy and musical power of Terrorvision at their best, the release of “Party Over Here…Live In London” means that this stunning show can now be watched and enjoyed at home.